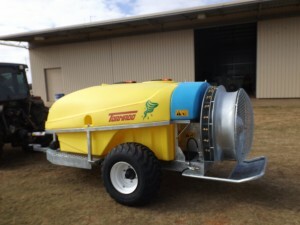 These sprayers feature a new lower profile design to suit narrow Orchard and Vineyard plantings. 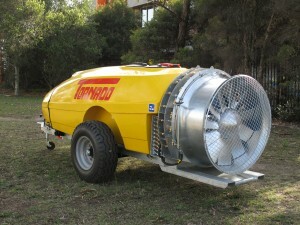 Model TPD is available in 1000-2000-3000 & 4000lt fibreglass tank. Model PT is available in 1000-2000 and 4000lt polyethylene tank. Model TPN (New release) is available in 1500-2000-3000-4000lt polyethylene tank with hand wash and circuit flush tank. Model TFS (Slimline) is available in super narrow 2000lt fibreglass tank. Our models are supplied with our new advanced Supermix multi stage cross flow agitation system, fresh water tank and dual lid system incorporating chemical pre-mix for safer handling of chemicals. Bertolini range of high pressure diaphragm pumps PPS series 110 & 160lts p/min in anodised aluminium or IDB series 1800 (180lts p/min)& 2000 (200lts p/min) with brass heads and conduits. Catterin range of high pressure diaphragm pumps,CP125k (125lts p/min), CP170k (170lt p/min) & CP250k (250lts p/min). High technology adjustable pitch fans available in 762-812-865-915 & 1060mm with centrifugal clutch and double speed high quality gearbox. Air straightening vanes are standard for certain models. this unique design ensures a uniform air pattern delivering an optimum spray coverage. As a option we can offer our GFOF 11 blade 915mm high volume fan wihich delivers 25% more volume. 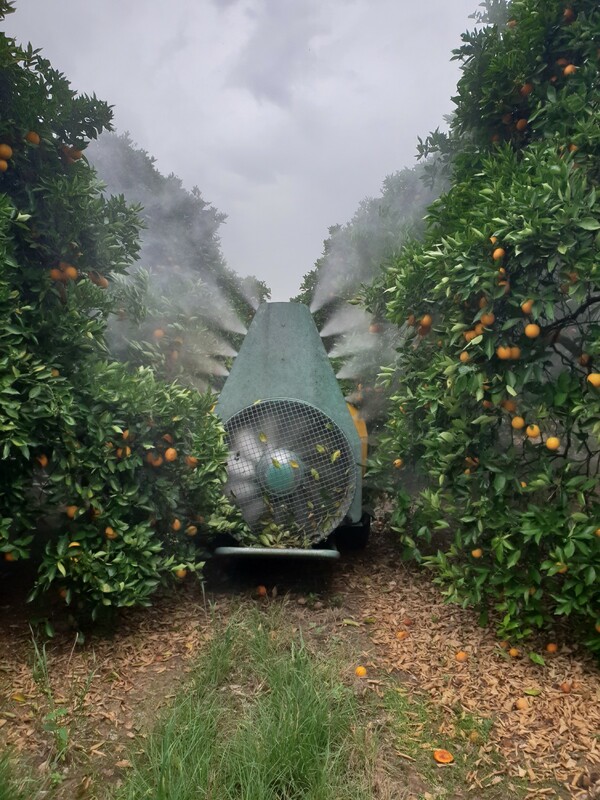 Our selection of spray controls range from manual pentamatic, remote control by electric valves to provide safe operation in tractor cabin. 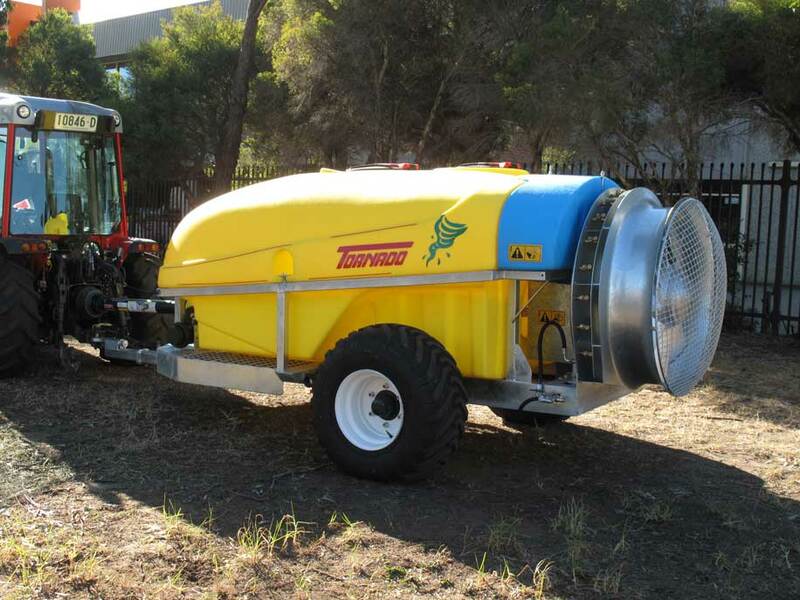 All our sprayers are supplied with heavy duty chassis and axle, adjustable drawbar, fold away steps and low compaciton tyres. 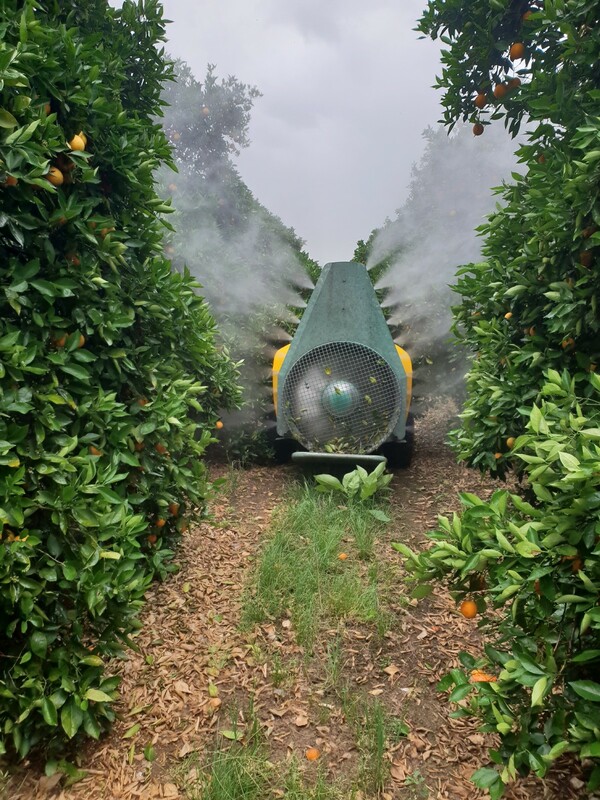 All sprayers can be retrofitted with various attachments such as tree conveyors, double sided vine deflectors and many others to suit your application.